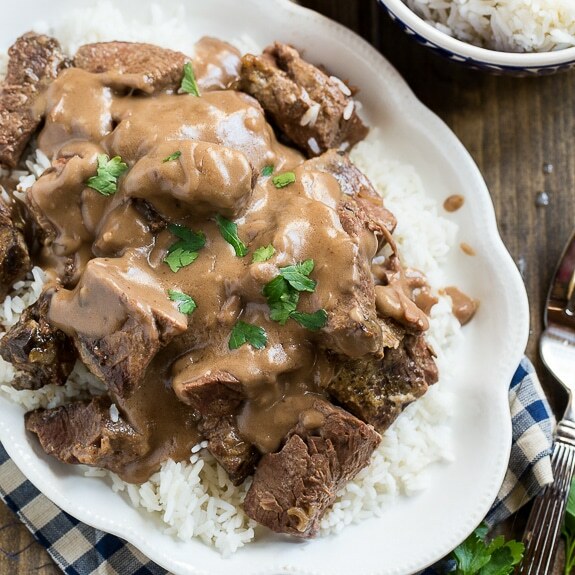 Tender and succulent short ribs make this Slow Cooker Short Rib Sauce an unbelievably delicious meal. The short ribs become fork tender after hours of slow cooking in the crock pot and they really soak up the flavors of the other ingredients. 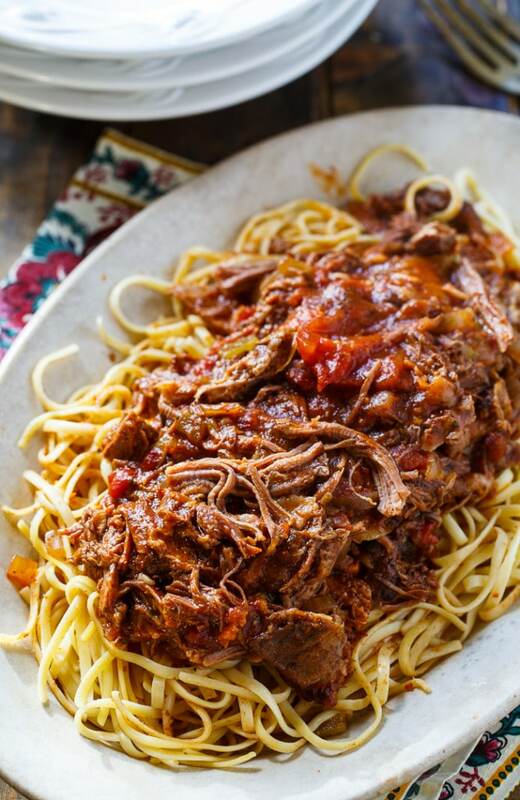 Slow Cooker Short Rib Sauce is a thick and meaty sauce that is sure to become a family favorite. The short ribs that I used for this recipe are from The Naked Pig, a mail order business with a farm in Oakboro, NC. They have a variety of beef and pork products all at very reasonable prices, including sausages, bacon, ribs, steaks, and even hot dogs. All of their beef and pork products are free of artificial ingredients and preservatives and are also free of nitrates, nitrites, antibiotics, and hormones. The animals are raised humanely and the cows are grass fed. If you don’t have access to high quality meat products near your home or you aren’t satisfied with the ones you have been purchasing take a peak at The Naked Pig’s Products. Beef Short Ribs are one of the most delicious meats you can eat. 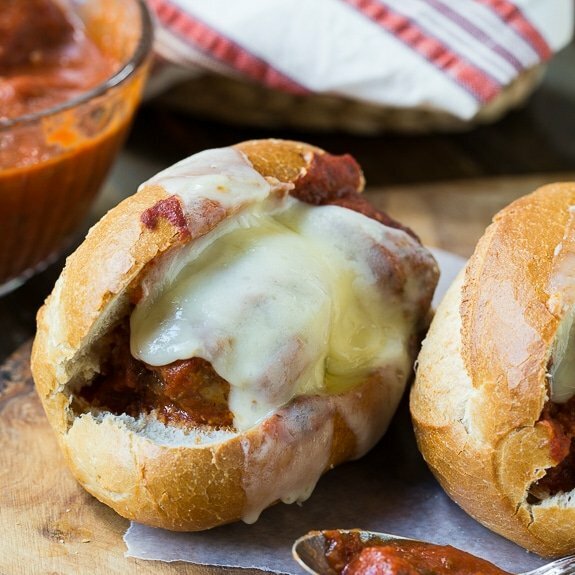 They cook up so flavorful and tender, especially in a crock pot. Short ribs have just the right amount of fat and as they cook, the fat melts and flavors the meat. You can use either bone-in or boneless short ribs for this recipe. Be sure to use quality tomatoes for this recipe. In addition to adding a can of plum tomatoes, I add a whole can of tomato paste and a few chopped sun-dried tomatoes to make sure the sauce has a really robust tomato flavor. Slow Cooker Short Rib Sauce is perfect served over pasta, egg noodles, or even mashed potatoes. 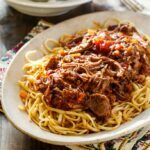 This thick, meaty sauce with lots of tomato flavor is great served over pasta or mashed potatoes. Heat oil in a large pan over medium-high heat. Season short ribs with salt and pepper. Add short ribs to pan and sear on both sides. Lightly grease a crock pot with cooking spray or use a crock pot liner. Place onion, carrot, celery , and garlic in bottom of crock pot. Lay short ribs on top. Use a knife to roughly chop the tomatoes in the can. Pour all of contents of can on top of short ribs. Add remaining ingredients to crock pot and stir to mix. 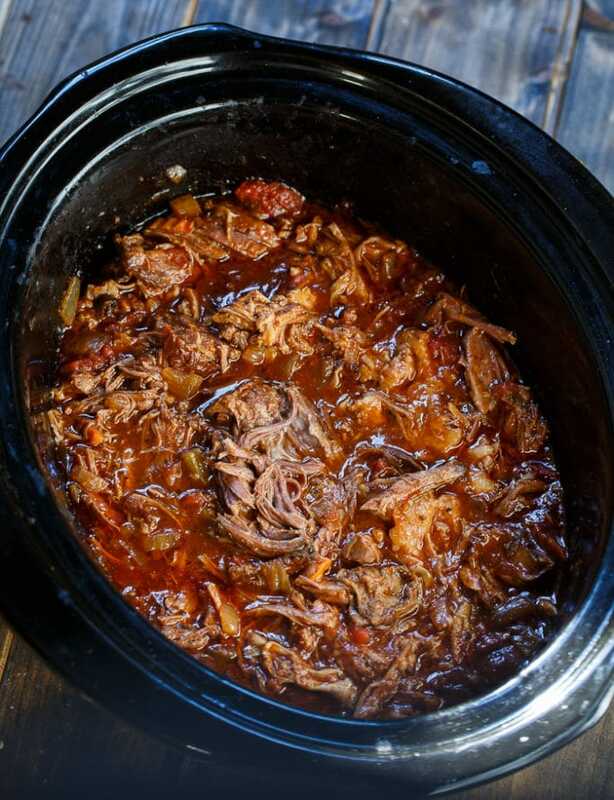 This entry was posted in Dinner, Meal, Slow Cooker and tagged beef, crock pot, short ribs. Bookmark the permalink. This sauce is so delicious. Love how meaty it is. Will be cooking with short ribs more often. 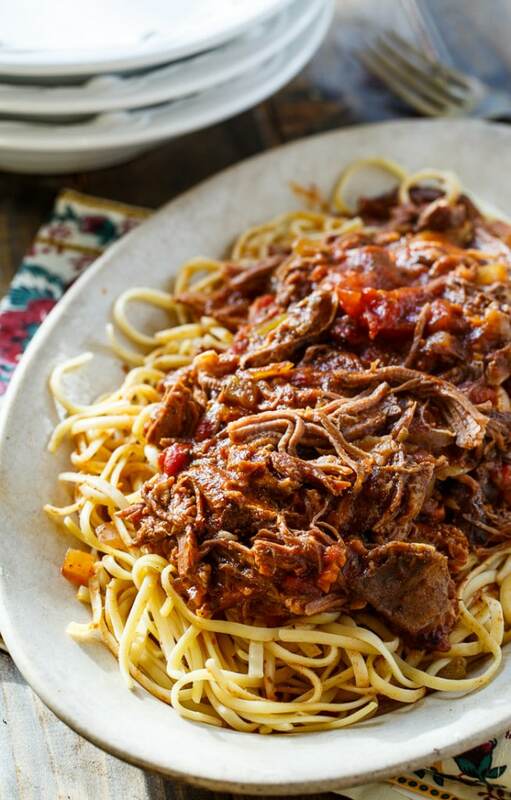 Short rib tomato sauce — and in a slow cooker, no less! Short ribs are a favorite of mine and I know I would love this! Where do you find Parmesan cheese rind and approximately how much is needed for this recipe? Thanks! Just use the end form a piece of Parmesan cheese. A pice that is a couple inches long is fine and you can leave it out and it will still taste delicious. Short ribs are always so luxurious and this couldn’t look more succulent and delicious! It was a mistake to look at this right before lunch. How can I possibly be happy with a salad now? ? This sounds wonderful!